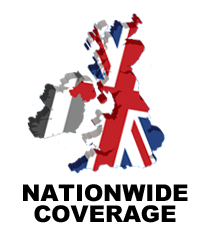 Note: We cover all UK locations. We provide professional, reliable, fully insured and vetted cleaners nationwide across UK, if you are looking for friendly cleaners then you have come to the right place. Cheap Cleaning Services offers just that: reasonably priced cleaning, but with no compromise on quality and reliability. Get in touch with us by phone or email to get things started. We will talk through your requirements with you and provide a free, no obligation cleaning quote. We are proud to be able to say that we can beat or match any London cleaning quote and are sure that you will be happy with our work. All our cleaners are fully insured, vetted and checked, with character and employment references followed up and CVs verified. Many of our cleaning colleagues have been with us for years, and we have also welcomed several dedicated members to the team as our business has expanded across the London area. If you prefer to contact us via this website, please visit our contact page and use the online form to let us know your contact details and requirements for the cleaning job you have in mind. We can then allocate you your friendly, dedicated Cheap Cleaning Services cleaning team, who will come and work their magic on your home or commercial property, you can book end of tenancy cleaners, carpet cleaners, move out cleaners, move in cleaners, end of lease cleaners and after builders cleaners with just a single click of your mouse or a tap on your phone, Call us now.